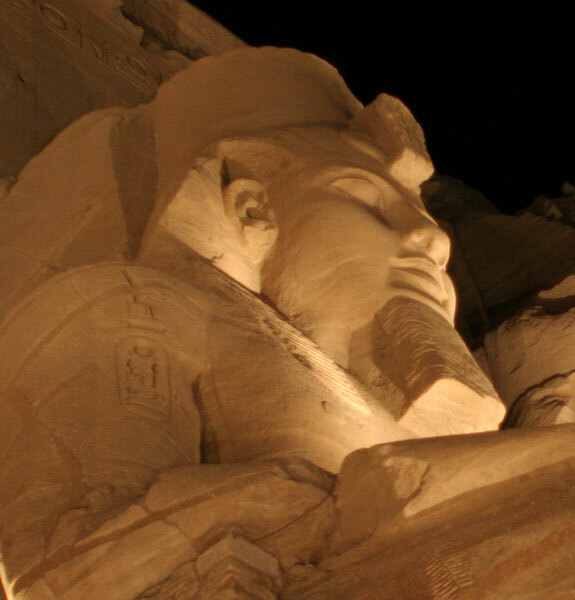 When Abu Simbel was first seen by the Swiss explorer Jean-Louis Burkhardt in 1812, the heads of the pharaoh Rameses II were barely visible above the sand. The sand was excavated five years later by Giovanni Belzoni, who was the first European to enter the temple and see the statues and reliefs inside. 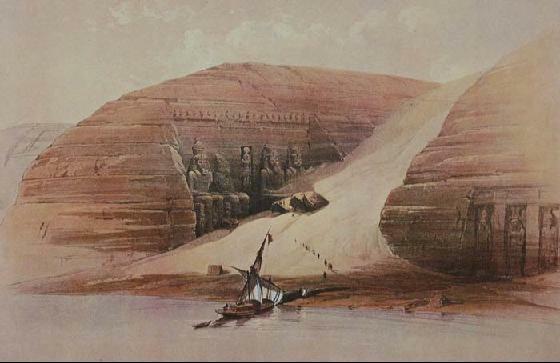 There are famous sketches by David Roberts of the site, drawn in 1838, that show the ever-encroaching sand. 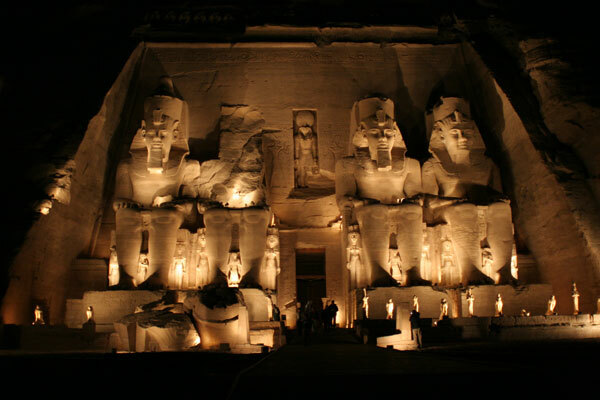 The monuments now known as Abu Simbel were built around 1250 BCE by Rameses II as a tribute to himself, and in honor of a triad of gods: Amon-Ra, Ra-Harakhty and Ptah. The temples were hewn into the cliffs, situated and designed so that the rays of the sun would enter deep into the sanctuary twice a year on the equinoxes to light the statues on an altar inside. 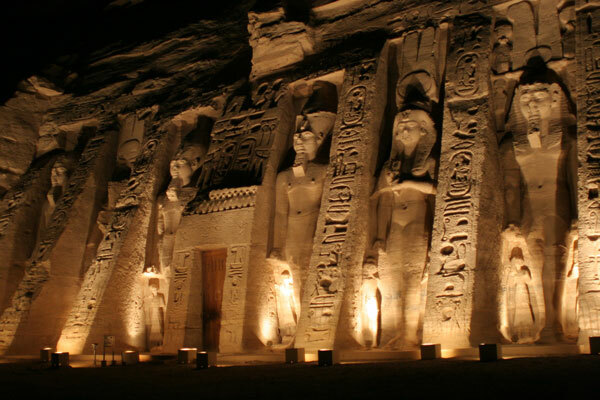 To the right of the Ramses temple, another extraordinary temple, constructed and dedicated to the goddess Hathor, was created for Rameses’s favorite wife Nefertari. The temples have been highlights of tourism in Egypt since Victorian times. And they’re featured in the Agatha Christie novel Death on the Nile. Chances are you’ve seen images or footage of these colossal monuments at some point. When Egyptian president Gamal Abdel Nasser pushed forward plans to create the Aswan High Dam as a symbol of Egypt’s newfound independence in the 1950s, it didn’t take long for engineers and archeologists to become alarmed that many sites – including Abu Simbel – would be inundated by the rising waters of the reservoir. It’s how the Temple of Dendur made its way to the Metropolitan Museum in New York. 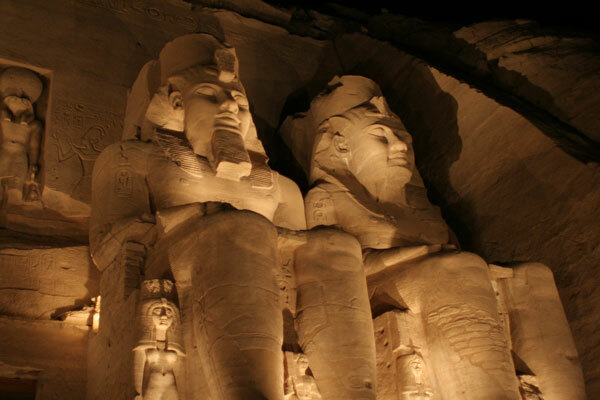 In 1959, a campaign was begun to raise money to move the temples of Abu Simbel to higher ground. An artificial mound was created above the site and the temples were disassembled, cut into moveable chunks, and hauled uphill. The temples, inside and out, were reassembled just as they were before. Quite an undertaking. So you can understand why I was looking forward to seeing one of the most impressive monuments in the world. There wasn’t enough time to see it when my mom, sister and I went to Luxor and Aswan in December. So when my dad came to visit, I decided I would join him on part of his trip to Upper Egypt so we could see the famous ruins. I splurged on plane tickets to avoid long bus rides and police caravans from Aswan. I was nervous about time. If we flew to Abu Simbel and had to catch a return flight only two and a half hours later (as Egypt Air schedules it), would we be able to see these amazing temples – with their towering images of Rameses II and his beloved Nefertari – at my dad’s walking pace?